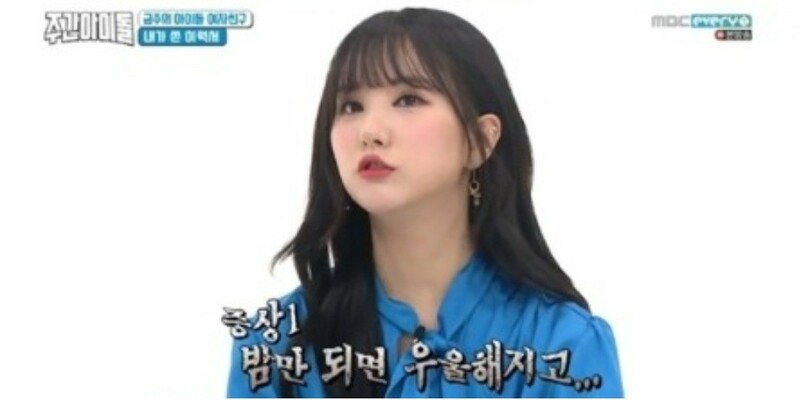 G-Friend's Eunha�opened up about her struggles. MC Lee Sang Min�asked, "Do you happen to suddenly put on makeup in the�middle of the night?" Eunha answered, "I don't look human sometimes when I see myself in the mirror late at night, so I start putting makeup on to make myself look more human."